Stacy Mungo was born in Long Beach and is a product of the Long Beach Unified School District (LBUSD). She is an experienced professional with a deep, personal connection to the city. 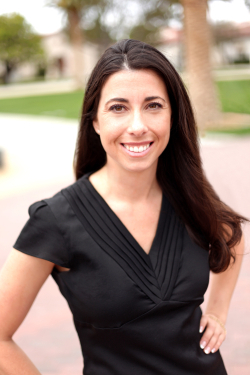 Stacy attended Long Beach City College and earned a Bachelor’s in Political Science from CSU Fullerton and a Master’s in Public Administration from the University of Southern California. and volunteering for community and school associations. ​Stacy began her professional career at the YMCA of Greater Long Beach in 1997. After earning her Master’s Degree, Stacy moved on to the County of Los Angeles, where she works as a budget director managing an annual budget of $180 million. Her efforts focus on seniors and workforce development. Stacy’s county career led to her working for Los Angeles County’s Chief Executive Office, the Department of Human Resources, and the Department of Animal Care and Control. During her tenure she developed the Countywide Management Mentoring Program, where she has served as a budget analyst for the Rancho Los Amigos Rehabilitation Center, the Office of AIDS Policy/Programs, and other public health programs with operational and special fund budgets in excess of $700 million. As the city liaison to more than 51 cities, and a project manager for the department’s effort to revolutionize business operations, she helped implement PAWSTATS. PAWSTATS is a successful program for accountability in animal service deployment, response time, adoption rates, and animal health. Stacy will use this knowledge and experience to implement performance measures that will identify bottlenecks in processes that, once resolved, will make City Hall more responsive. In 1998-99, Stacy sat on the Long Beach Unified School District Board as a student member. There, she supported maintaining nurses on campuses during tough economic times and promoted a new program for students who needed extra assistance before moving on to high school. Stacy will make education a citywide priority by supporting partnerships with LBUSD and LBCC. Stacy continues to serve her community as president of the El Dorado Park Estates Neighborhood Association from 2010-2013. She partnered with “We Love Long Beach” to share best practices with neighborhood associations across the city. In her free time, Stacy enjoys being with her family, dining out with friends at local Long Beach eateries, and exercising with her Rottweiler “Charlie”. Stacy also serves as a reserve deputy sheriff for the County of Los Angeles.